The ICA committee decided it was appropriate to present medals to the winners of the various championships throughout the season. 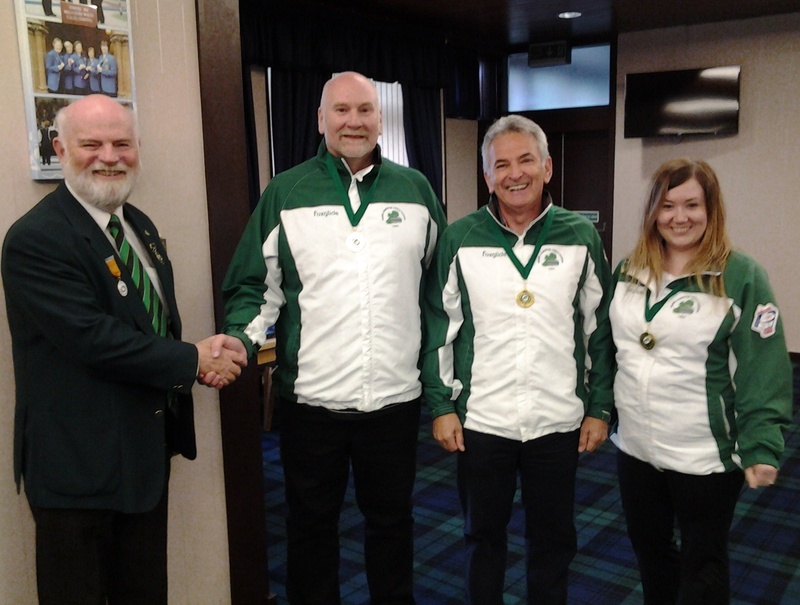 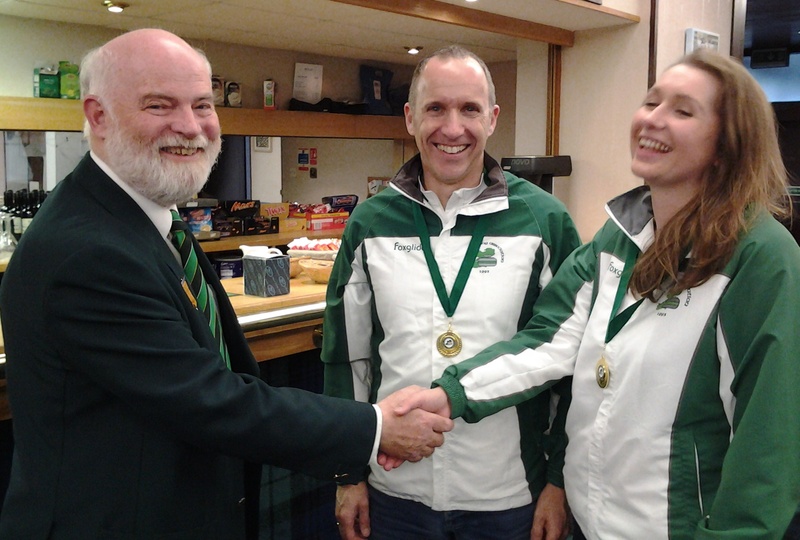 Last season’s winning teams in the mixed doubles, men’s seniors, men’s and mixed playdowns were presented with the first ICA championship medals after the opening bonspiel at Hamilton on Sunday. Doing the honours was honoroary member John Burns. 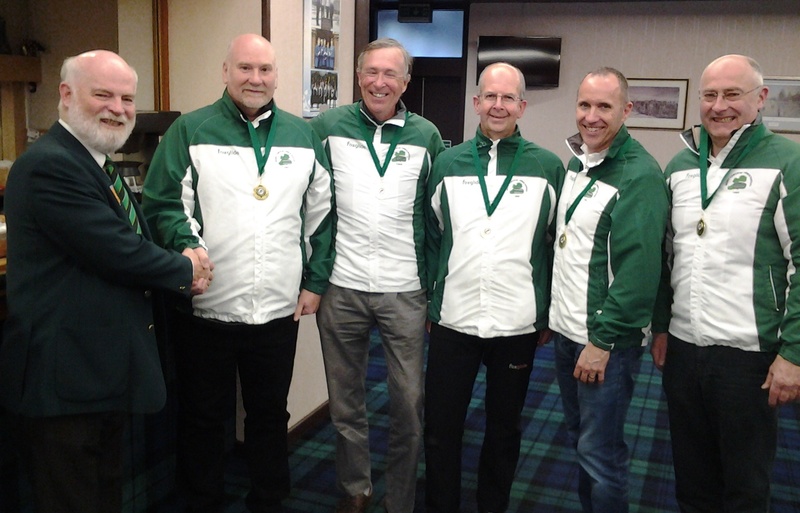 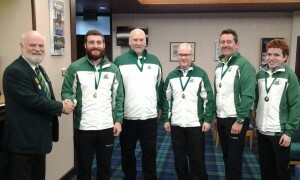 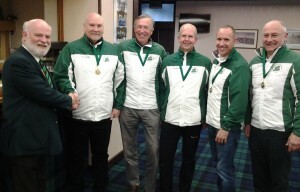 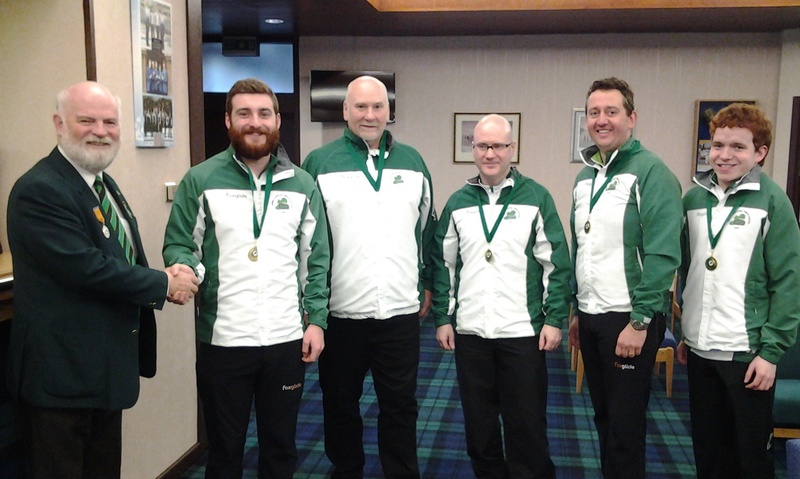 Irish senior champions – Johnjo Kenny, David Hume, David Whyte, Neil Fyfe and Bill Gray.